Penang is blessed with a number of great, cheap and cheerful Chinese restaurants. This is certainly one of the best. 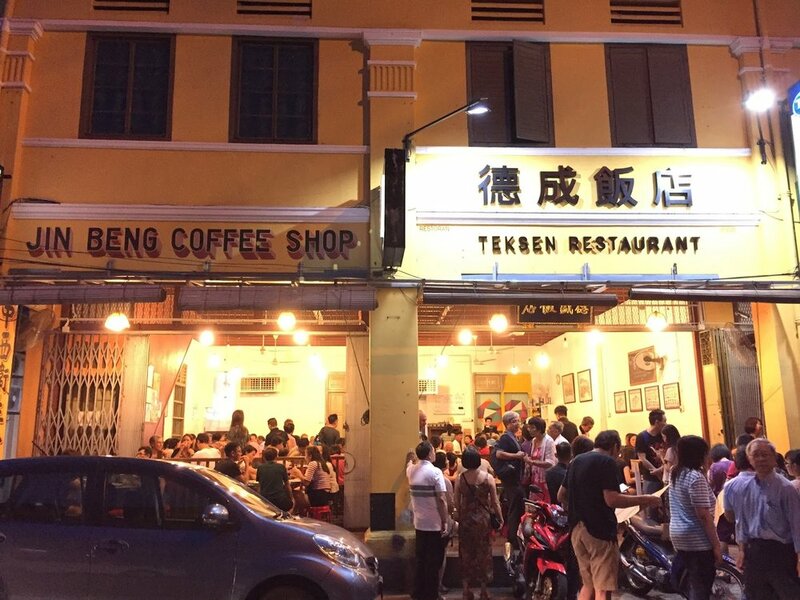 On bustling Carnarvan Street in Georgetown for 45 years, Tek Sen has a constant lineup of people arranging a table, pre-ordering on the street and then just hanging out telling each other what they are having. The food is simple, wonderful and cheap. There are other places where you don’t line up (see My Homestyle) but this is worth the extra time it takes. Parking in Georgetown can be challenging but there is a rare parking lot just 20 metres past the restaurant, down a short street.